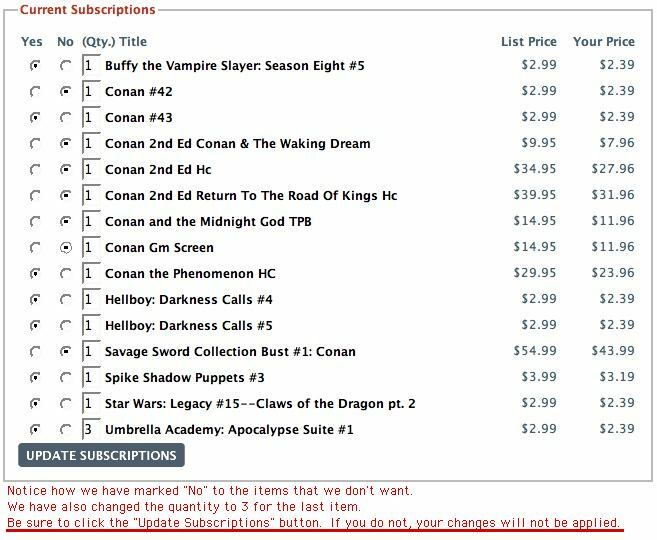 Comic book subscriptions are the best way to ensure that you'll never miss an issue of your favorite comic books. 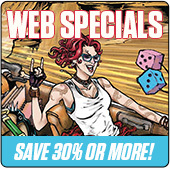 Even better, you'll save 20% at TFAW.com! 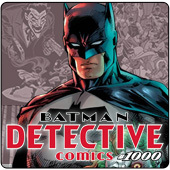 With a few clicks, you can easily subscribe to your favorite DC Comics, Marvel Comics, or Dark Horse Comics titles--or to thousands of other comics by Image, IDW, and more. Plus, you can sign up for more than just comic book subscriptions--our Subscription Service is super-charged with the ability to include statues, apparel, toys, and pretty much everything else we sell! Read on to learn how to subscribe to your favorite comics and related items today. Sign into an already existing TFAW.com account or create a new one. Then go to the Subscriptions Page. You have two ways to subscribe! 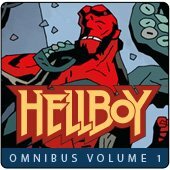 Subscribe by Series*: This is for ongoing monthly comic book series like Buffy the Vampire Slayer, X-Men, or Detective Comics. Choose your series, then just click the "add" button. *If you want multiple subscriptions of the same series, you will have to subscribe by keyword (below). 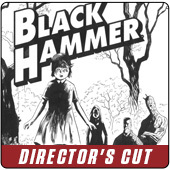 Subscribe by Keyword: This is for miniseries, one-shots, and non-comics items like apparel and collectibles. 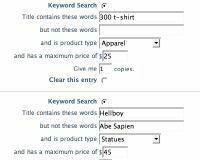 First, perform a keyword search: in the "Title contains these words" field, enter what you're searching for (i.e. "Superman"). To refine this search, enter negative keywords, or what you don't want, in the "but not these words" field (i.e. "Batman," "New Krypton," etc. ), separated by commas. Then choose a product type and maximum price for your subscription. 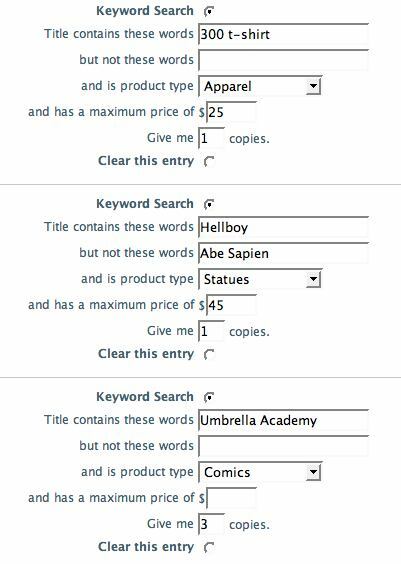 NOTE: If you do not choose a product type, you will receive a list of all products related to your keywords. After you submit your list, a new page will appear. After you click "Subscribe to Results," you're pretty much done. The page will refresh with items to which you are currently subscribed (provided there are any matches this month). If the list looks fine, you don't have to do anything to approve it. We'll order the items for you when they're available. NOTE: Your changes will not be applied if you do not click this button. The page will refresh. Those items will still appear on your list. Don't worry, they're now marked "No" and will not be shipped to you. So What Happens Next Month? 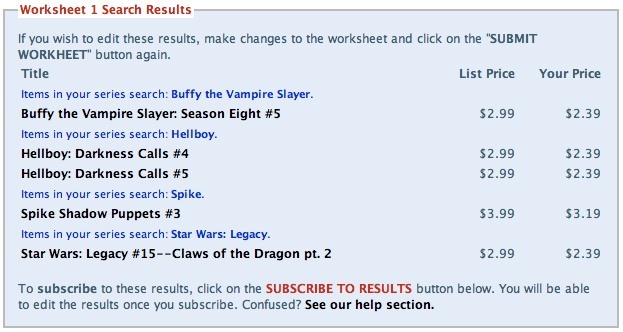 We'll send you an email each month to review your matches. All you have to do is Approve or Remove things from your subscriptions at this point (Step 4). Make sure that the email address you give us is accurate, or you won't get these monthly emails and you will receive every item on your list. NOTE: Be sure to classify these emails as "Not Junk," so they will land in your inbox. Legal Notice: Entire contents trademarked (® or TM) and copyrighted (©) 1986-2019 by Things From Another World, Inc. and respective copyright and trademark holders. All rights reserved. Page rendered at 2019-04-19 07:41:38 in 0.208 seconds.